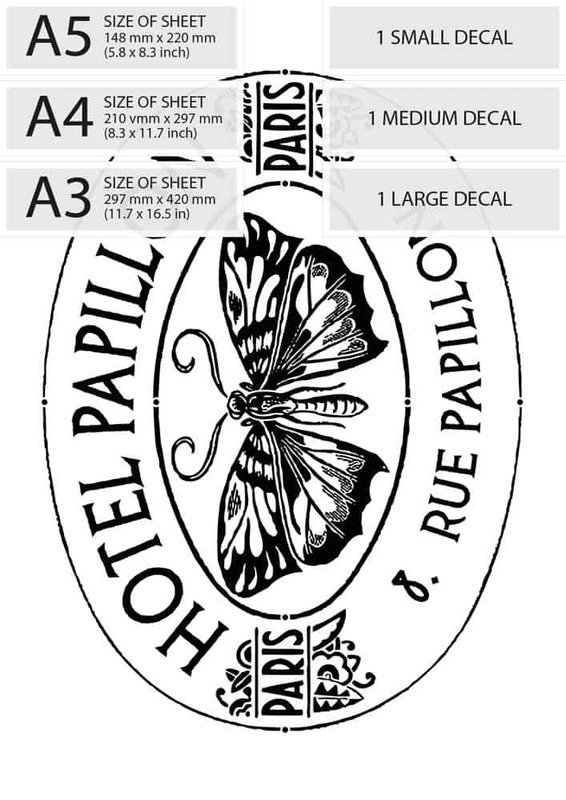 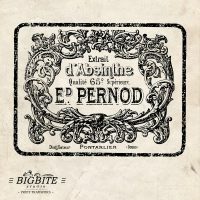 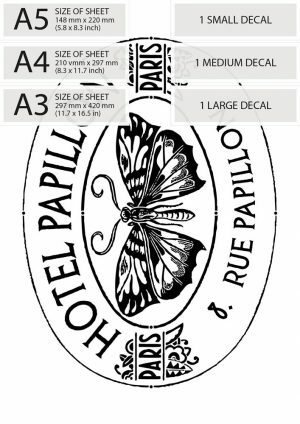 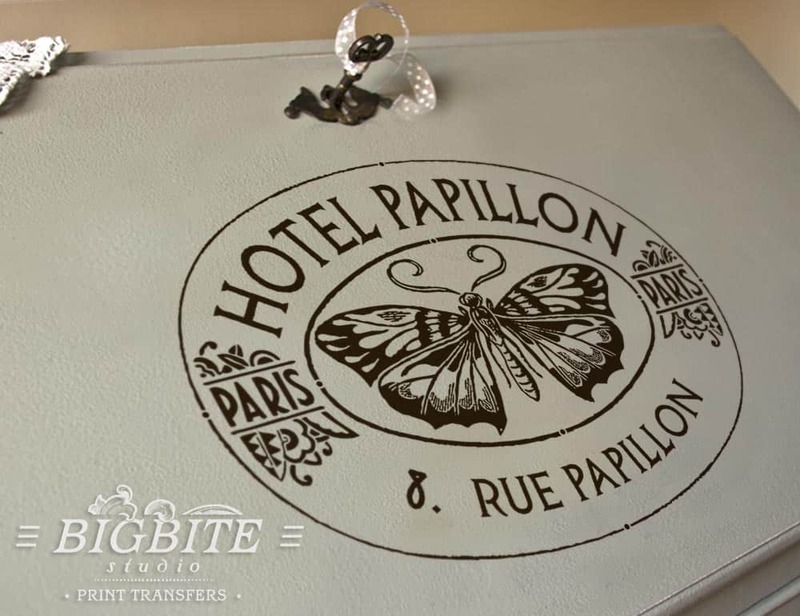 This is WATER SLIDE DECAL PRINT TRANSFER of Vintage French Advert: ‘Hotel Papillon’. 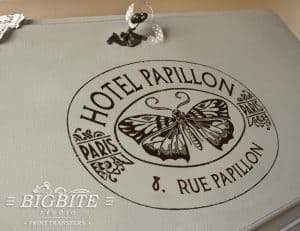 This is an authentic card from French already non-existent ‘Hotel Papillon’, which means ‘Butterfly Hotel’. 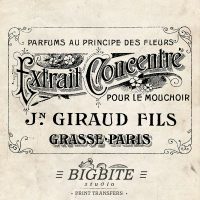 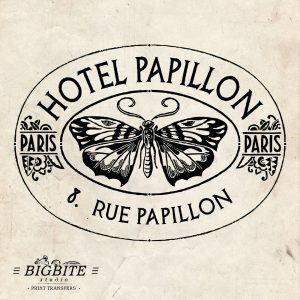 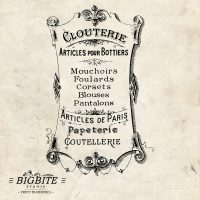 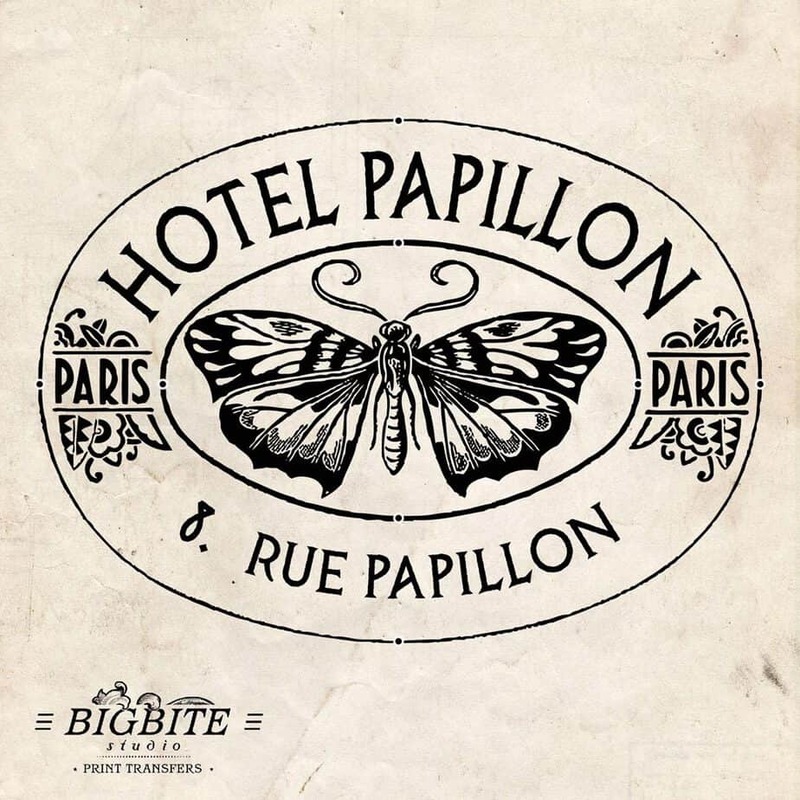 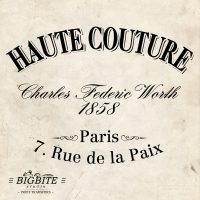 The Hotel was located in ‘Rue Papillon’, which means ‘Butterfly Road’.